I thought I would start your week off with a little DIY special. I do a lot of DIY projects but I never really blog them. So I am trying to get better with blogging my DIY projects. 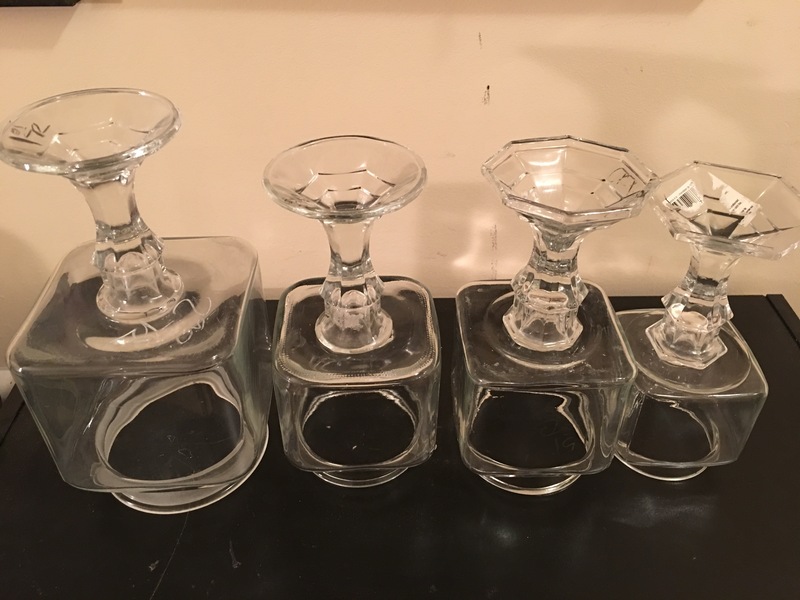 c If you remember my Goodwill Haul, I showed y’all some clear glass jars and candle stick holders I purchased. I used those in this DIY project. I didn’t make them for any specific, I was honestly just waiting some time. With a few holidays coming up in the next couple of months, I know I will be decorating for our family events. 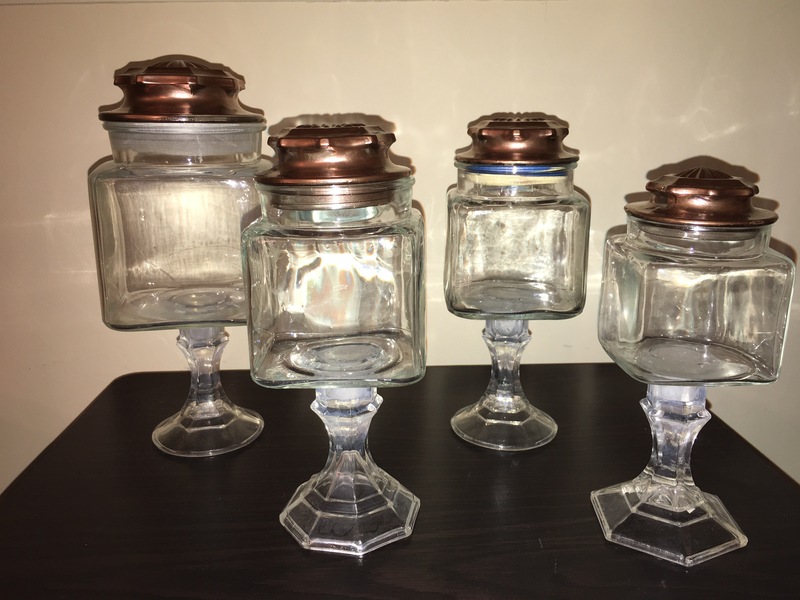 I can use them as centerpieces or candy jars on the deserts table. Anything really ! I only used metallic spray paint and super glue gel to make these beauties. 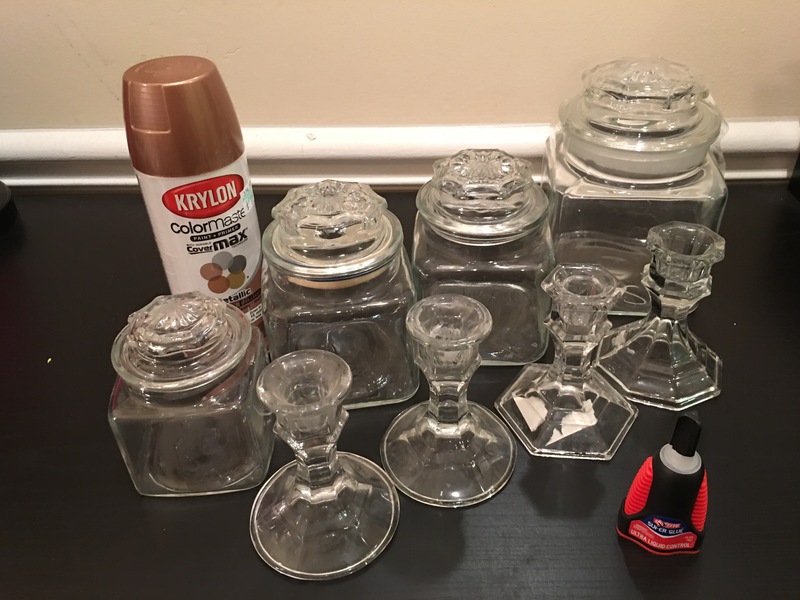 To start, I used baby wipes to clean the jar and candle holders. If you have ever bought anything from Goodwill, you know they write the prices is some special chalk marker or something. I find it easy to wipe it away with a baby wipe. 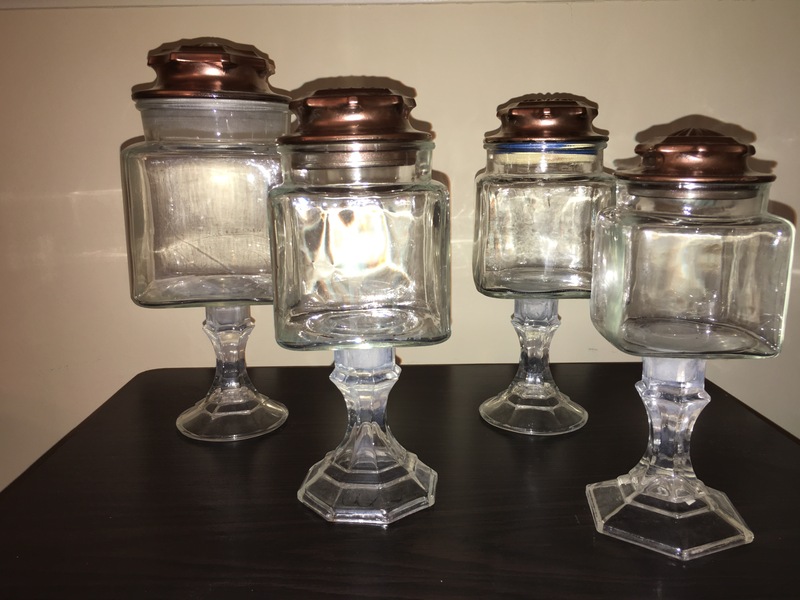 For the jar lids I used metallic spray paint to paint them this golden-bronze look. The super glue gel is this best glue to use for projects like this. With the jars placed up side down on a flat service, I used the gel glue on the rim of the candle holder. Next, I placed the candle holder in its place and letting it dry for 2 to 3 days. Finally you have a finished products. 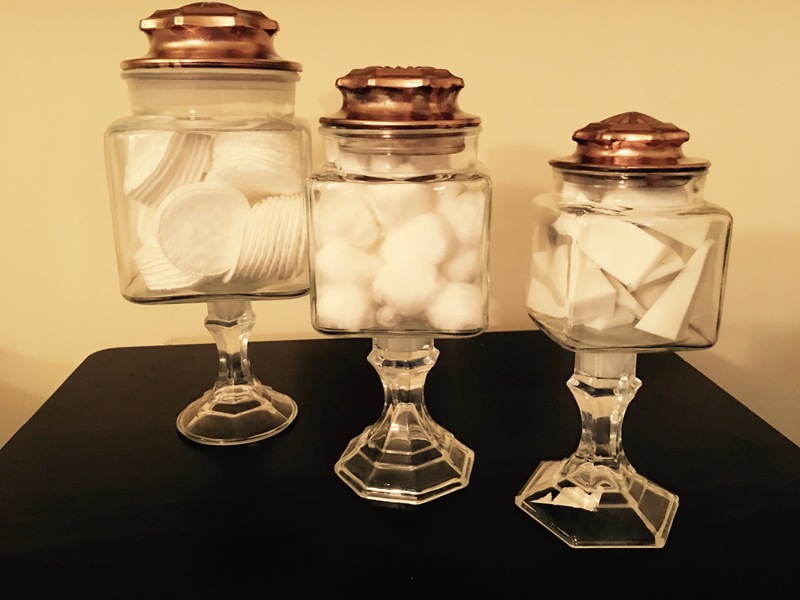 I’ll be adding these to my Kreative Passions page, so be sure to check out all my other DIY decor and ideas. For orders, email passionlockedblog@gmail.com and don’t forget to follow on IG @passionlocked.